June | 2013 | Mike Gil, Ph.D. 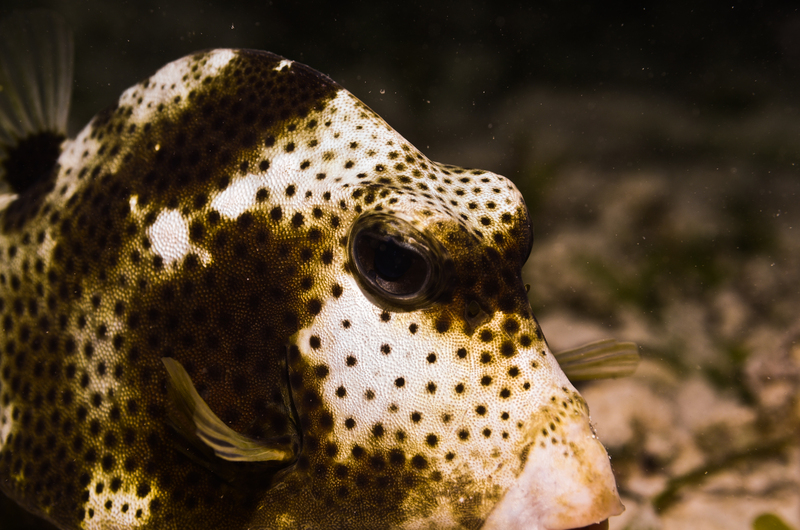 I spent the better part of last month in Akumal, Mexico, co-instructing a field course in marine biology for juniors and seniors at the University of Texas at Austin (my alma mater). This course and I go way back, actually: I was enrolled as an undergraduate in summer 2007, I was a guest researcher in 2009 (when it was held in Puerto Rico, due to swine flu…and the Mexican drug cartel didn’t help), and I co-taught it in 2011 and this year. Once again, it was a very special experience. 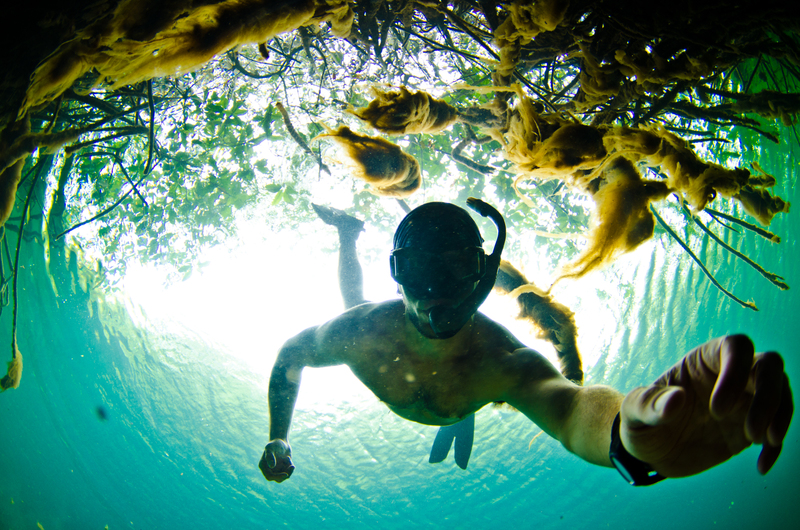 The location is a pretty incredible place to get introduced to marine biology the right way: in the field! For three weeks, we stay just steps away from your typical Caribbean white-sand beach, beyond which is a sheltered bay that is home to an extensive coral reef and seagrass meadow. 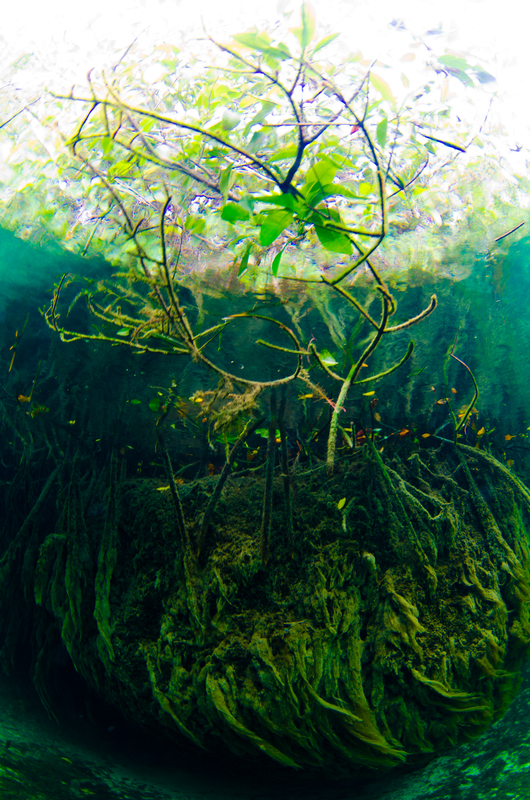 This ecosystem supports so many sea turtles, it’s hard to not encounter one on a casual snorkel. Akumal Bay at sunrise on Day 1 of the class. 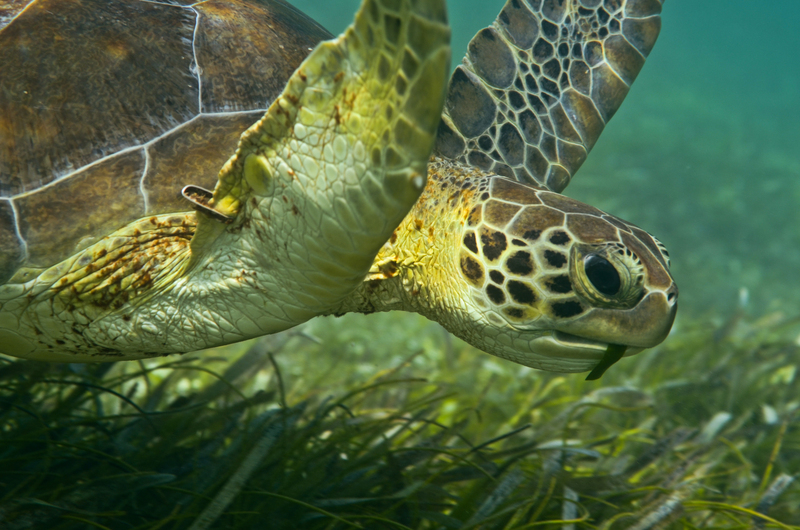 A green sea turtle chomping on some Thalassia testudinum seagrass (aptly dubbed ‘turtle grass’), as I take his/her headshot. 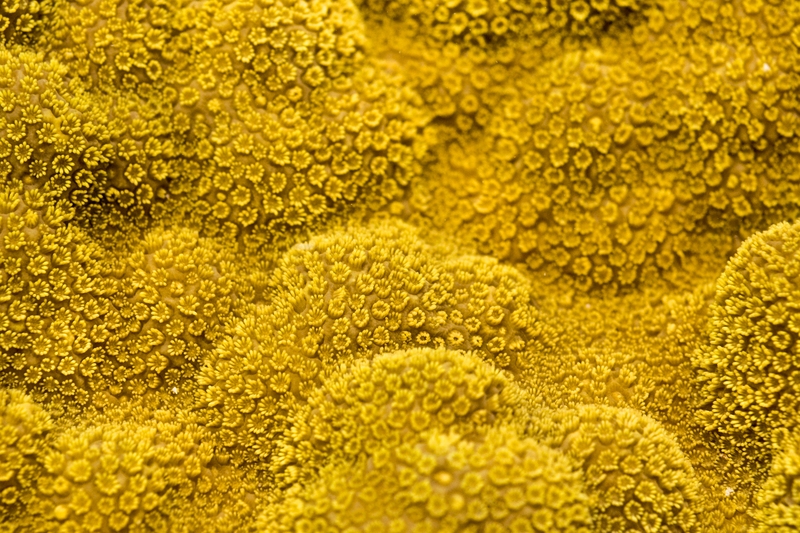 This coral, Porites asteroides, reminds me of golden hills in some surreal landscape. 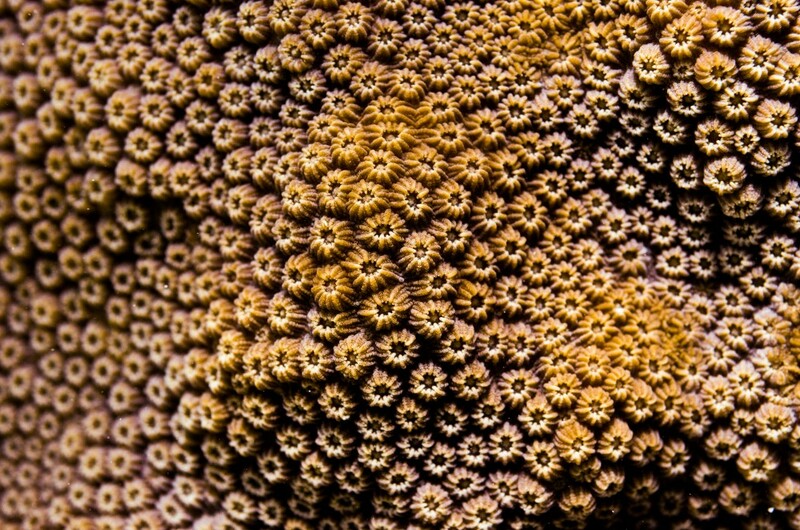 Another coral, Montastrea species, with much larger polyps. 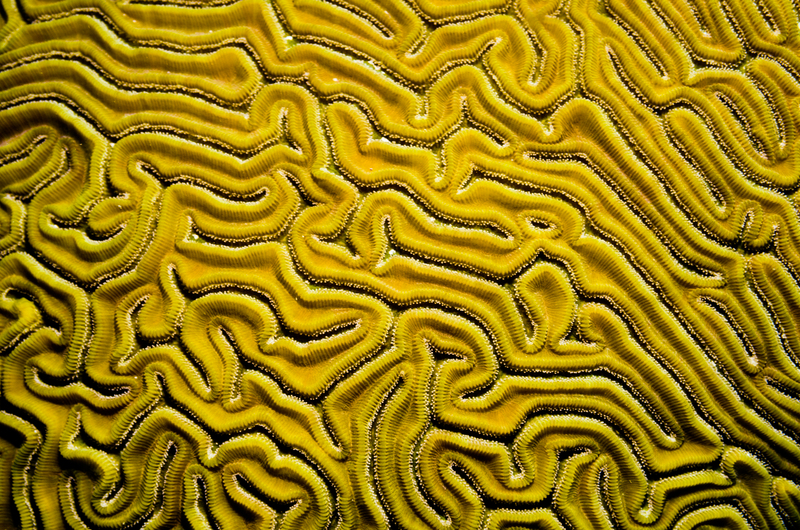 This coral, Diploria labyrinthiformis, looks just like its namesake. 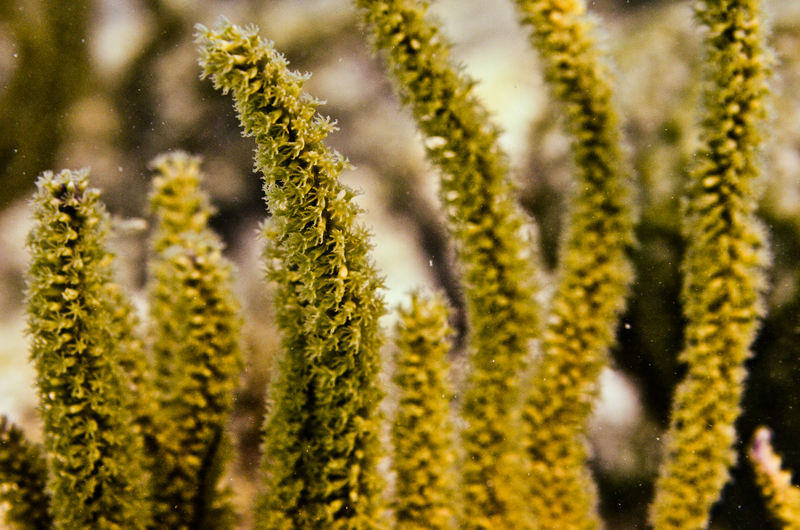 A gorgonian (or ‘soft coral’) called a sea rod. You can see the tentacles of the individual polyps: jellyfish-like, wouldn’t you say? 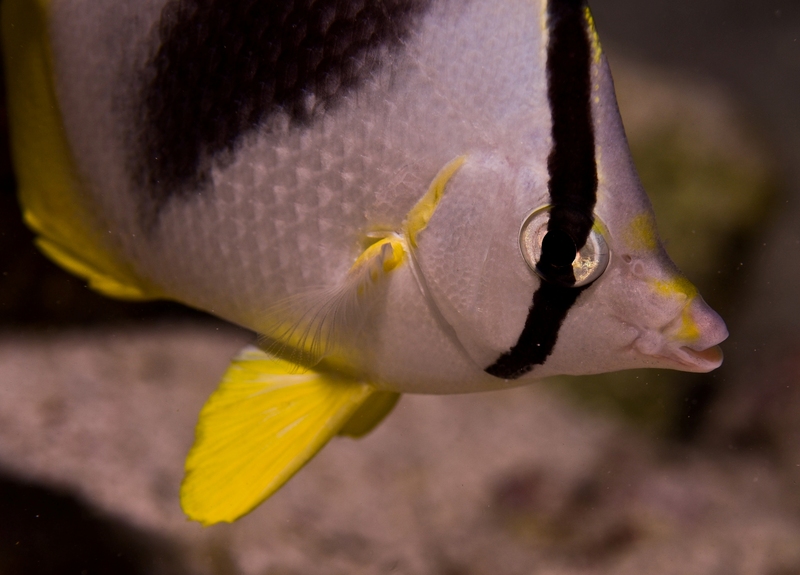 A butterfly fish, which uses its tiny mouth to eat the coral polyps shown above. They also use the corals for shelter, so essentially they eat their own house. Of course I love spending time in the ecosystem that I have come to study for a living, but introducing this system to people is a rare treat. There is something about working with students with genuine interest in a field setting that makes teaching this class feel like you’re being spoiled as an instructor. The whole gang of instructors and students for the 2013 Maymester in Akumal class. 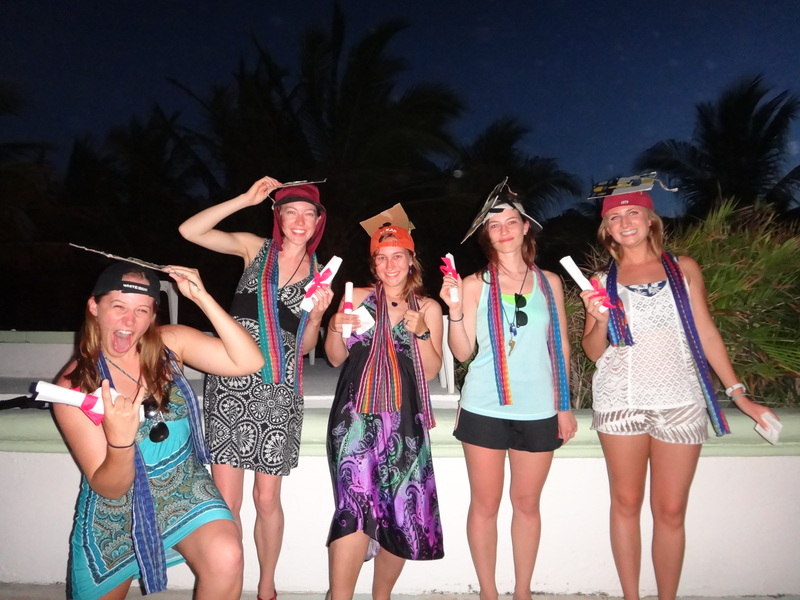 The college graduates of the 2013 Akumal class! 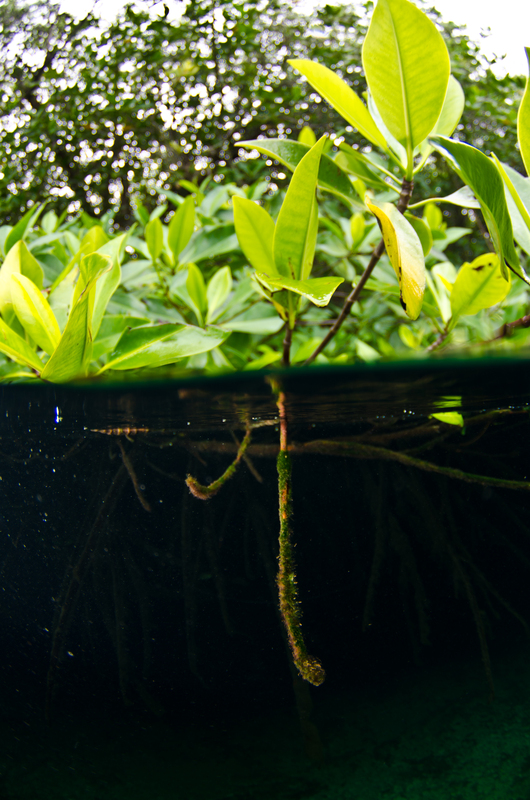 The two worlds of the mangrove forest: air and water. A wide-angle perspective from below. I would like to end with a side note. So, the main grocery store nearest the beach was a place called Super Chomak. 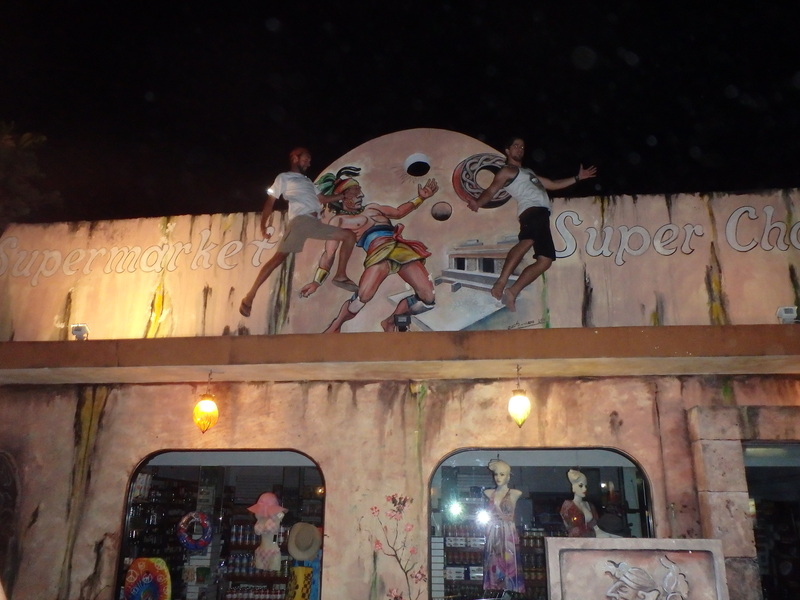 We loved this place, and in particular, we loved the sign out front, which showcases an ancient Mayan sport. Dr. Buccolo and I demonstrate our athletic prowess and our sheer admiration for sacrificial Mayan athletes on the roof of Super Chomak (photo incredibly taken by Kathryn Thompson). As many great experiences do, the class seemed to fly by, and before I knew it (4 days later), I was on a plane bound for French Polynesia, where I will spend the rest of the summer. Stay tuned!